Diabetic nephropathy is the leading cause of end-stage renal disease (ESRD) in the United States, accounting for more than one-third of ESRD cases (1). 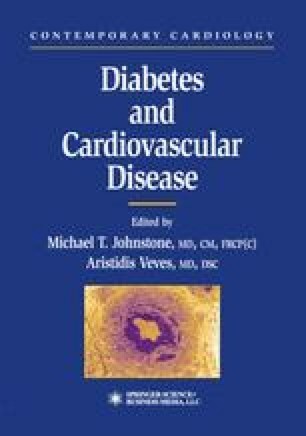 Diabetes mellitus is also an independent and strong risk factor for ESRD ascribed to causes other than diabetes (2) such as hypertension, pyelonephritis, and the other forms of glomerulopathies seen in diabetic patients can lead to chronic renal disease. Here we focus mainly on diabetic nephropathy as a major microvascular complication of both type 1 and type 2 diabetes.